MaeTaeng Elephant Park began from the result of the ban on Logging in Thailand in 1989. Seeing increased numbers of elephants forced to roam the city streets and take up work in the Illegal logging trade the Chailert family with no previous history of working with elephants decided to create a safe and friendly work environment that visitors to the Kingdom would be able to help support by visiting MaeTaeng elephant Park and also be educated on the plight and future of the domesticated Asian elephants in Thailand. Since 1996 the Chailert family known for their love and commitment to help the domesticated Asian elephant have dedicated the last 19 years to helping and caring for not only the elephants but the culture of the mahout and their family’s. 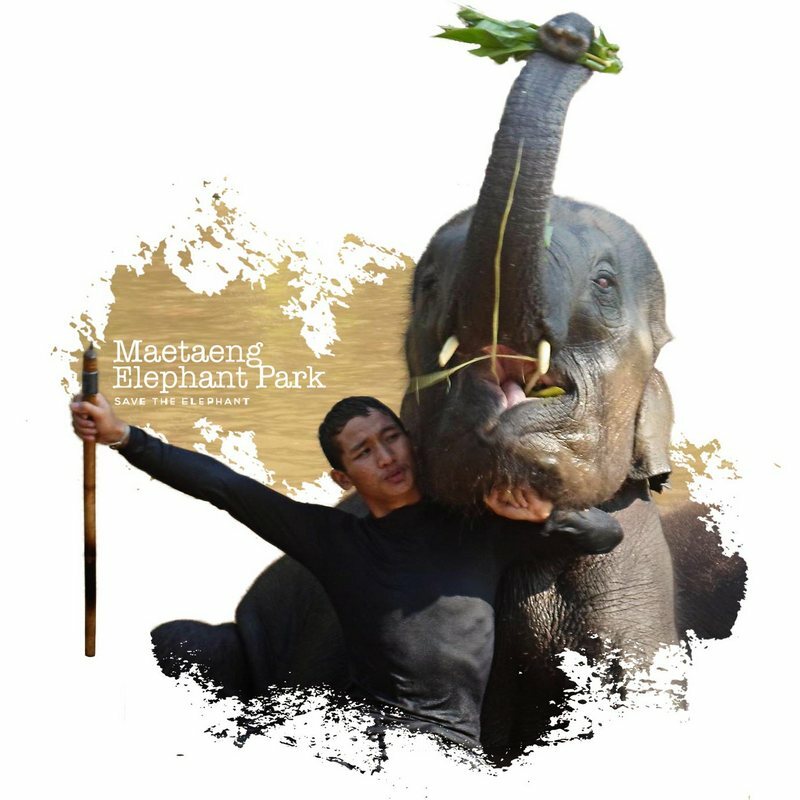 Over the years the park has seen calves birthed and not just baby elephants MaeTaeng Elephant Park is ensuring the long term sustainability of Asia’s ancient culture of man and the domesticated elephant so it is not lost in the fast pace of globalization. In 2000 the owners decided that it would be a great idea if the money raised from selling elephant art work to park visitors went to help fund the purchase of medical supplies needed at the park. Back then Maetaeng Elephant Park did not have a clinic on site so if an elephant was sick they would have to be put into a truck and driven to the Elephant Hospital in Lampang. Or vets from the elephant hospital would make the long journey to the park to administer the medications, but either way, all this took time, and delays were stressful and sometimes dangerous for the sick elephant. The visiting vets would share their knowledge with the mahouts so they could treat and properly take care of their own elephants, but we could see that more needed to be done. Then in 2006 Maetaeng Elephant Park started a fledgling clinic, initially it was for the pregnant elephants so they could have a protected area within the park where they could be monitored, but very soon after it was equipped to take care of minor medical issues too. In 2009 the Park took on a different meaning when the Chailert family realize that in order to ensure the long term sustainability of the domesticated elephant herds that apart from the LamPang Elephant Hospital that a fully equipped licensed clinic with a full time veterinary staff needed to be created, which includes a fully licensed veterinary and experienced Mahout’s with vast knowledge of natural medicinal herbs and of elephant behavior, that can only be achieved through a close and unbroken bond. With help from various charity groups and volunteers along with several local businesses, we were able to create a proper clinic infrastructure, and today we have a fully operational FREE clinic. Park has helped organized and have been gracious host’s to many International schools, local schools, and university’s. awards for the Highest standards of elephant care and safety. The MaeTaeng Elephant Park & Free elephant clinic has been pivotal in the care and welfare of all the elephants in the MaeTaeng area. In the past when one of the herd falls ill the park relied soley on the Government Elephant hospital in Lampang. This is a 3hr journey by truck which can lead to more stress to the elephant. The veterinary team from Lampang Elephant Hospital works closely with MaeTaeng Elephant Parks veterinary team as well as veterinary students from the university’s. The elephant park is constantly changing and discovering different and unique ways to better increase the care and welfare and long term sustainability for the Asian Elephant in Thailand. illegal logging by providing alternative work including elephant riding. We are responsible to our employees, the men and women who work with us throughout the park. Everyone must be considered as an individual. We must respect their dignity and recognize their merit. They must have a sense of security in their jobs. Compensation must be fair and adequate, and working conditions clean, orderly and safe. We must be mindful of ways to help our employees’ fulfill their family responsibilities. employees must feel free to make suggestions and complaints. There must be equal opportunity for employment, development and advancement for those qualified. We must provide competent management, and their actions must be just and ethical. We are responsible to the communities in which we live and work and to the world community as well. We must be good citizens – support good works and charities and bear our fair share of taxes. We must encourage civic improvements and better health and education. We must maintain in good order the property we are privileged to use, to protecting the environment and natural resources. We are committed to improving the local environment in our community by fostering partnerships with area businesses, community leaders and our neighbors to create a cleaner, safer place to live and work. Our final responsibility is to the environment. We must experiment with new ideas. Research must be carried on, innovative program’s developed and mistakes paid for. New equipment must be purchased, new facilities provided and new products launched. Reserves must be created to provide for adverse times. 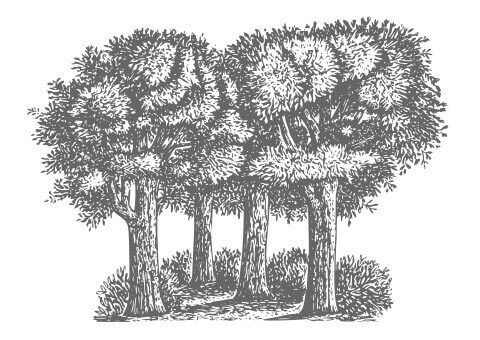 When we operate according to these principles, we will maintain a sustained environment. We must work with local villagers, government agencies, NGO’s and other entities to protect villagers and their property and homes, develop alternative income sources compatible with preserving elephant habitat. We are dedicated to protecting the Asian Elephant and it is through Maetaeng Elephant Park & Clinic that we are able to fulfill our commitment.